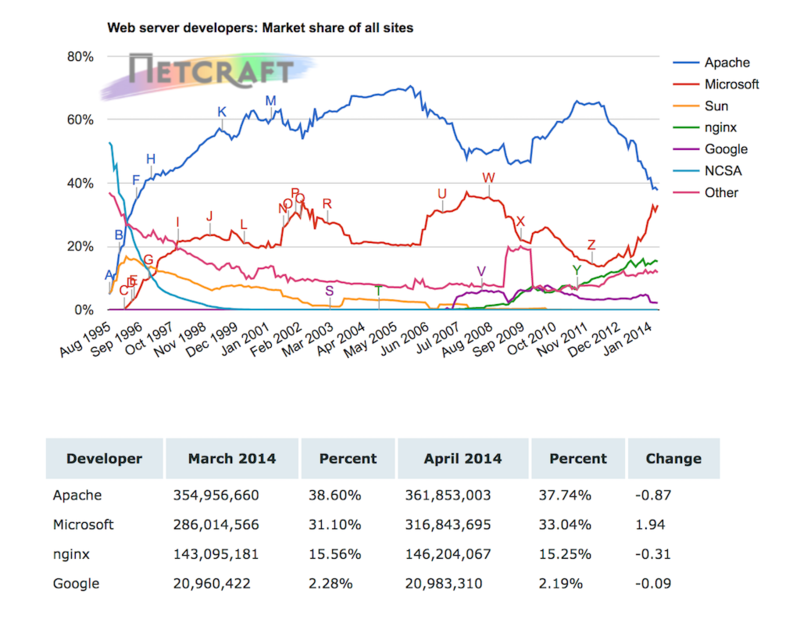 Based on figures from the April 2014 Netcraft survey, over 146 million of the websites they surveyed were using NGINX, an increase of 3 million since last month. W3techs surveys the top 10 million websites, based on Alexa traffic rank. 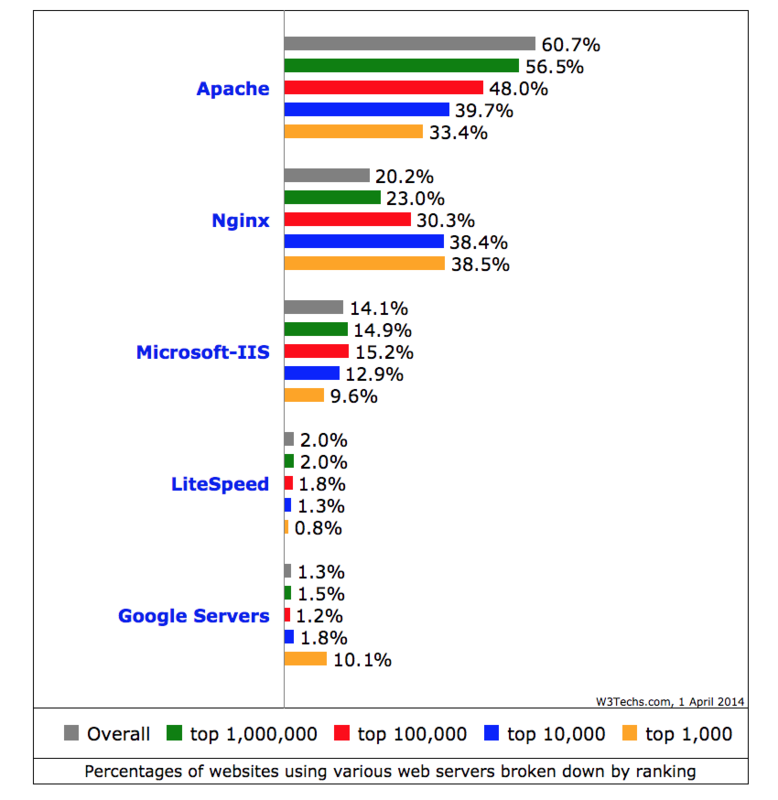 According to this month’s data, 20% of the top 10 million sites run NGINX, and the percentage rises to 38.5% if you drill down to the top 1,000. The list changes subtly from month to month so we can’t read too much into this recent increase, but it’s great to see that NGINX still holds top spot among the busiest (and presumably most discriminating and selective) sites in the world. This month’s highlight: The Netcraft data indicates that eight million sites switched to NGINX in the two months since February’s report!